Over the past few years, we’ve seen a tremendous growth in demand for mobile computing devices. As tablets replace PCs in the workplace, the ability to capture and analyze data while disconnected from your test fixture is a need that has become increasingly apparent. 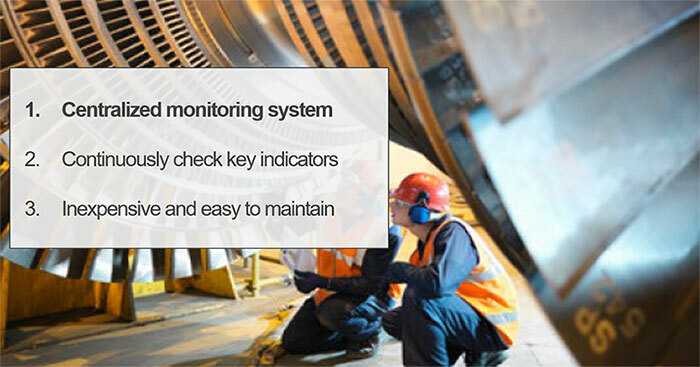 More companies are moving towards remote monitoring of their test systems, especially in plant maintenance and equipment monitoring. Take American MTS, an electrical service company based in NC, and their electric motor vibration monitoring applications for example. Measuring vibration on the bearings of a motor is widely used as an early indication of maintenance needs or damage. However, many modern monitoring systems are elaborate and can be cost prohibitive, and American MTS observed that medium to smaller organizations didn’t have an effective way of integrating monitoring technologies. They used these needs to define a solution for low cost vibration monitoring systems for engines, motors, pumps, etc. Their top requirements included making reliable vibration and power measurements, setting alarms or notifications when a measurement is above a normal threshold, and ease of use of the system without the need of extensive software development. In addition, their technicians often required additional PPE to reach the test fixture, so being able to monitor the testing remotely was a critical requirement. 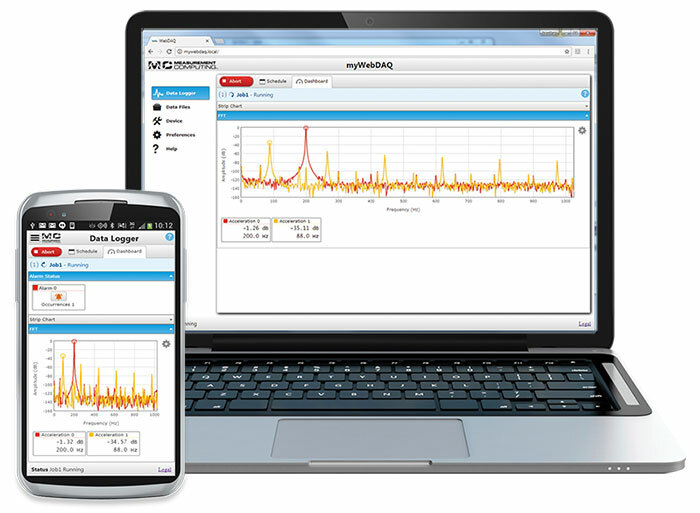 The WebDAQ internet-enabled data logger offered a solution to American MTS that allows them to perform the measurements they need through a simple web interface that could be monitored and configured from any device connected to the same network. They could set up the device on a customer site, then monitor the measurements and adjust the test configuration from their home office by connecting to the customer’s network. Additionally, the WebDAQ is a rugged, industrial solution with guaranteed reliability, as opposed to the small Bluetooth device they were previously using. They could also connect different sensors to the device, depending on the application, removing their previous constraint of a built-in accelerometer. To learn more about this application, check out our featured article on Tech Briefs. You can also tune in to our On-Demand Webinar, Reliable Measurements for Smart Data Logging Systems.